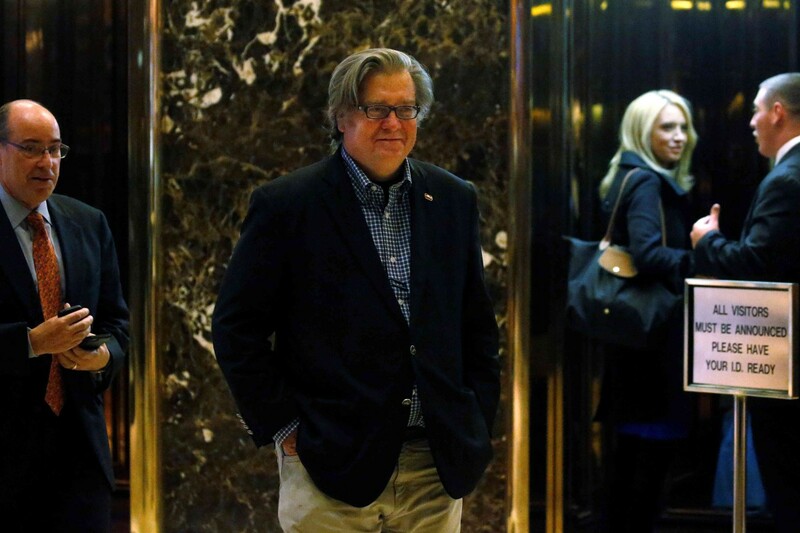 Steve Bannon has been very much in the news lately, as one might expect of a former Breitbart editor turned closest adviser to the President of the United States. Much of this has been political fare by friends and foes (ok, mostly foes). We have read debates about his ideological worldview, the exact nature of Bannon’s (and Breitbart’s) ties to the sinister Alt-Right, his rank in the White House pecking order, Bannon’s vision of realignment of American politics, populism, ethnonationalism, executive orders, the books he reads and so on. Charles has already weighed in here but I am not delving into these things today. Less attention, though usually also accompanied by outrage, have been stories on foreign policy and national security. 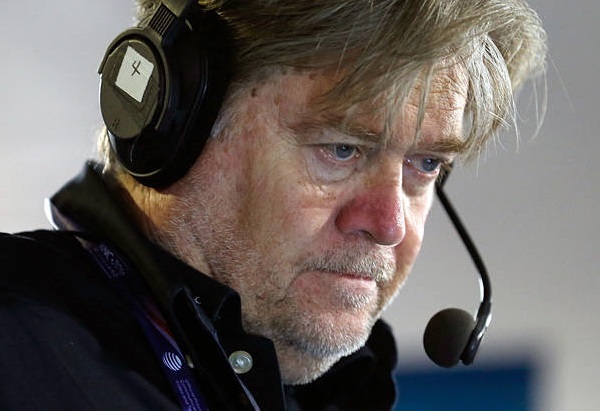 Nevertheless, the media gave wide play to Bannon’s comments about potential war with China, possible civilizational partnership with Putin’s Russia and most notably, Bannon being given a permanent invitation to meetings of the Principal’s Committee of the National Security Council. Most Democrats and many national security professionals believed Bannon, as a political adviser, had no business being seated on the NSC by historical standards. While this is true, it is not a very credible argument in light of the previous administration’s decision to make a mere campaign speechwriter with no prior experience an unusually powerful Deputy National Security Adviser. I think the criticisms based on customary protocol arguments miss the mark by a country mile. We are all familiar with the ancient Greek myth of the Titan Prometheus. It was Prometheus, whose name meant “forethought”, who defied the gods to give Man the gift of fire – a gift that unleashed the immense creative powers of mankind. For this affront to the gods’ authority, Prometheus was severely punished. Zeus binds Prometheus to Mount Caucasus where an eagle tears out his liver each day. A torment Prometheus endures for ages until the coming of Hercules. Strategy in American national security is much like Prometheus. 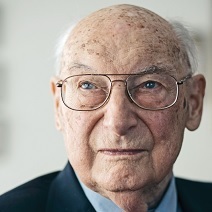 Potentially useful as a creative force, sometimes employed like the gift of fire as a useful tool in a small way, most often inert, bound immobile to the rock of policy as politics savagely tears out the liver of anyone posing a strategy that might prevent a foreign policy crisis from becoming a debacle. The truth is that the gods, or in this case the established political class, much prefer a predictable and orderly debacle under their stewardship than a messy win for America with unpredictable second and third order effects. In fairness, most of the time, stability while accruing small losses is preferable for a global hegemonic power like the United States to disruptively embarking upon large risks to its position in order to win small gains. So long as the international system is strategically designed to sustain hegemony, occasional losses can be a cost of doing business until the system or parts of it no longer appear to be working. Or until political support wanes at home. The objection to Bannon (aside from his politics) is that a domestic political strategist should not be involved in the NSC. David Axelrod and Valerie Jarrett were not. Karl Rove wasn’t. James Carville, Lee Atwater and innumerable other key political White House staffers never sat on the NSC. However, I don’t think Steve Bannon was invited to attend NSC Principal Committee meetings in that role. Nor was he “replacing” the DNI or CIA Director or the Chairman of the Joint Chiefs of Staff. They were not “replaced” but as customary bureaucratic constraints on policy formulation they were intentionally removed. I think Steve Bannon – whose prior professional efforts at a high level were all about creating and articulating a vision – is really the Trump administration’s grand strategist. Sun Tzu, check. Bhagavad Gita, double check. Dharma! Indeed! I suppose I should write a follow-up about dharma and the battlefield of Kurukshetra, where Krishna instructed Arjuna in the dharma appropriate to a warrior. This is the mindset of Trump’s top White House aide who just earned himself a seat at the table on the National Security Council. Here at Breitbart News, we see ourselves as a small yet up-and-coming competitor to Fox. Yes, you read that right, Breitbart is on the rise, and Fox is in decline. Even the MSM has noticed the changing of the guard; here’s the Washington Post headline from January: “How Breitbart has become a dominant voice in conservative media,” reinforced by Politico just this morning. In this modern-day version of the epic Peloponnesian War, the incumbent Athenians might as well know that the Spartans are coming for them, and there’s not a damn thing they can do about it; indeed, more Spartans are joining us every day. As Thucydides would warn them, if the leaders of Fox choose to pipe Mickey Mouse aboard and give him command on the bridge, well, that will only accelerate Fox’s fall. 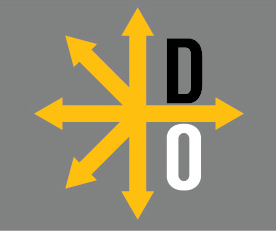 What We Do: In 1,000 words or less, Divergent Options provides unbiased, dispassionate, candid articles that describe a national security situation, present multiple options to address the situation, and articulate the risk and gain of each option. Please note that while we assess a national security situation and provide options, we never recommend a specific option. My post is an effort to reconnect Syrian policy, widely regarded as a disaster by most foreign policy pundits, back to a coherent grand strategy.